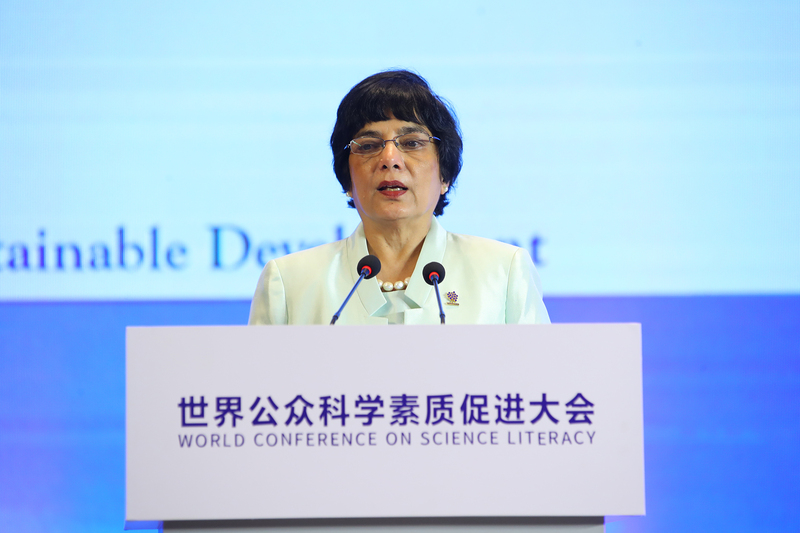 World Conference on Science Literacy 2018 was held in 17-19 September 2018 in Beijing by the China Association for Science and Technology (CAST) with the support of the United Nations Educational, Scientific and Cultural Organization (UNESCO), the World Intellectual Property Organization (WIPO), the International Science Council (ISC) and the World Federation of Engineering Organizations (WFEO). Dr. Marlene Kanga, President of WFEO, addressed on the opening ceremony and gave a presentation on The Role of Engineers in Promoting Science Literacy for Sustainable Development. With the theme of “Science Literacy for a Shared and Better Future”, the three-day conference marked CAST’s 60th anniversary this year. 23 international scientific organizations as well as 58 national scientific institutes from 38 countries participated in the conference. 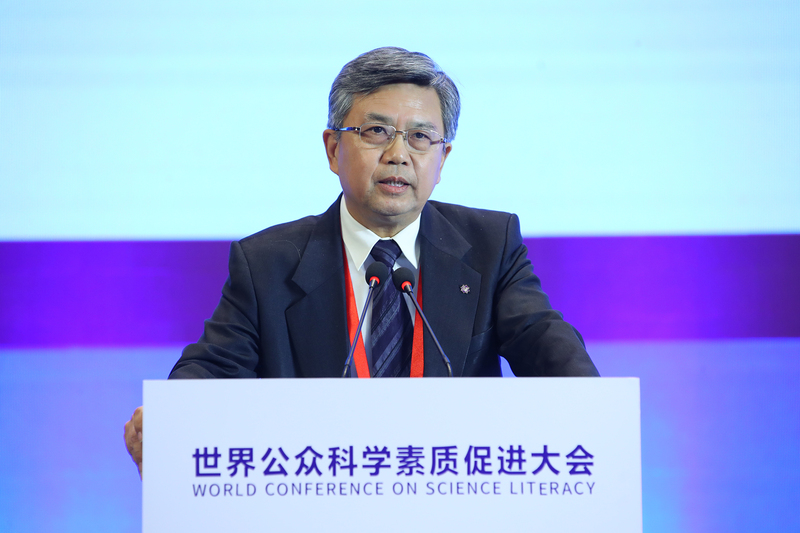 The Beijing Declaration for Promoting Public Science Literacy Across the World, agreed by the international member organisations that attended the Conference, including WFEO, was released at the close ceremony of the 2018 World Conference on science literacy on Sep. 19, 2018. Chinese President Xi Jinping, also general secretary of the Communist Party of China Central Committee, sent a congratulatory letter to the opening ceremony. Science innovation and science popularization are equally important, and China has attached great importance to both, Xi said in the letter, which was read by Wang Huning, a member of the Standing Committee of the Political Bureau of the CPC Central Committee. President Xi also commented that China will work with other countries to promote scientific education and literacy domestically and abroad, leading to more innovations that can benefit national and social sustainable development. Antonio Guterres, United Nations secretary-general, said in his congratulatory letter to the conference that many countries and regions have limited access to the benefits generated by science, owing mainly to poverty, lack of quality education and the digital divide. As we strive to achieve the Sustainable Development Goals, we must do more not only to harness science for good, but to advance science literacy. Wan Gang, chairman of CAST, said improving scientific literacy is key for tackling common challenges and fulfilling the UN’s 2030 Agenda for Sustainable Development. During the conference, Dr. Kanga had a meeting with Huai Jinpeng, executive vice-president and chief executive secretary of CAST, on Sept. 18th. They agreed on further in-depth cooperation between CAST and WFEO. 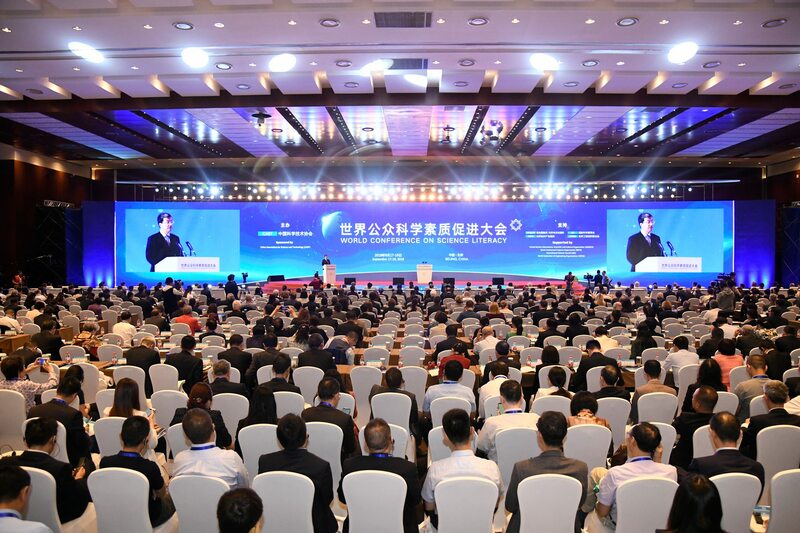 Prof. Gong Ke, President-Elect of WFEO, attended the opening ceremony of the conference and delivered a speech on Scientific Literacy in Context of Future Society. 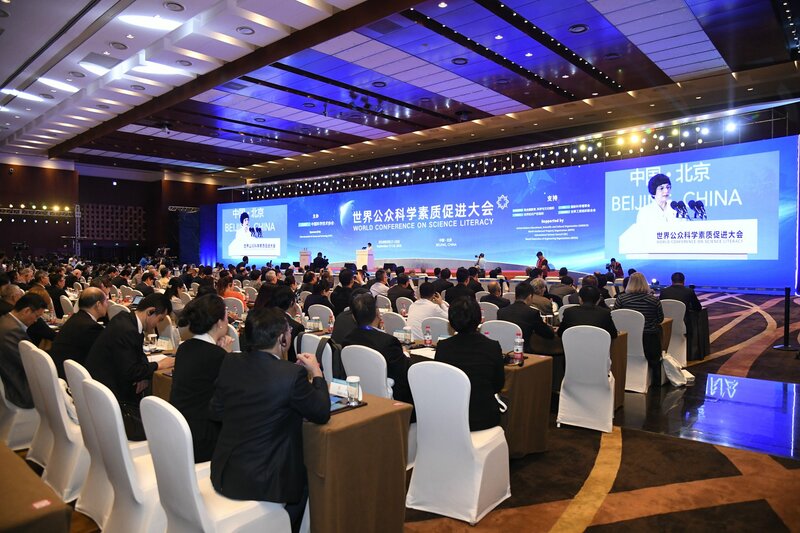 The Beijing Declaration for the Promotion of Science Literacy was agreed by the international member organisations that attended the Conference, including WFEO. Promoting positive interactions between society and science and technology in their broadest sense. Science and technology are bringing fundamental changes into all aspects of human production and life at an unprecedented rate, breadth and depth. Science and technology contribute to the progress of human society and enrich people’s spiritual world, yet they also carry risks and uncertainties that we cannot afford to ignore. Research integrity should be promoted to ensure that the general public understand and are involved in science, that the value of science and technology are fully realized, and that science and technology serve the overall and long-term interests of mankind. Understanding our mission and responsibilities. Science literacy is an intrinsic requirement for an individual’s all-round development, for the social foundation of a nation’s innovation capacity and sustainable development, as well as for the intellectual foundation of mutual understanding and peace in human society. Science literacy not only involves mastery of scientific knowledge and scientific methods, but also demands respect for the pursuit of the scientific spirit and evidence-based scientific thinking. The improvement of science literacy is concerned with the future of both individuals and nations as well as the wisdom and capabilities of human beings in coping with a variety of risks and challenges for building a better world. Working together to narrow the gap in science literacy. There are large gaps in the levels of public science literacy between different countries. The international mechanisms for science literacy exchange and cooperation need to improve, so that everyone around the world aspires to raise their scientific and cultural literacy and to achieve common prosperity and development. All nations should vigorously drive forward science education, communication and popularization, should eliminate barriers to scientific knowledge sharing, should narrow the gap in knowledge and development between countries, and should promote sustainable development for everyone. Persistently promoting universal benefit and fairness. All nations should prioritise improving science literacy among different geographic areas and different population groups, so that all of the general public can enjoy the benefits of modern civilization. We should make every effort to protect and stimulate the enthusiasm of younger generations in science, to help the poorest in society to narrow the gap in science literacy so as to bring them hope and opportunities to end poverty, and to enable women to fully enjoy the dignity brought about by the improvement of science literacy. Building a mechanism for collaboration and exchanges. Science and technology organizations shoulder fundamental responsibilities for the promotion of public science literacy. All stakeholders including governments, educational organizations, industry and the media should devote themselves to the promotion of science literacy with greater commitment and take positive actions to develop closely coordinated social networks. All participants agree to encourage international exchanges and cooperation and to promote the sharing of experience and resources. We call on all agencies to work together to strengthen effective mechanisms for achieving shared growth through discussion and collaboration. We will strive to include the promotion of public science literacy into the Sustainable Development Agenda of the United Nations.